I know, I know...I've been slack this past week with my posting. 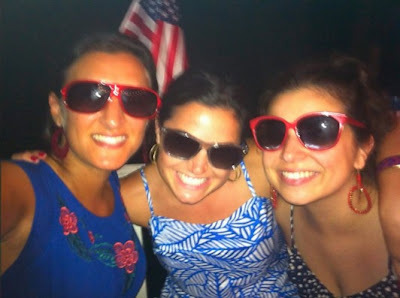 As I mentioned in my last post, my cousins were here for the July 4th weekend...and beyond. They were here for 5 days chock full of fun, eating and drinking...man it's hard to catch up after all that fun. My niece Brookie was the picture of patriotism on her little red tricycle :) Check out her star spangled tutu! 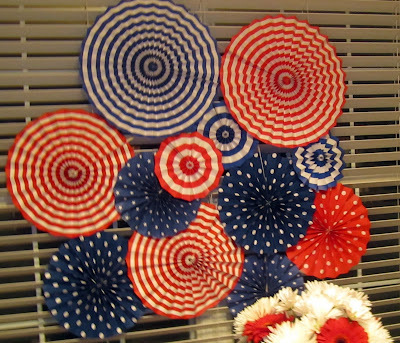 Fully inspired by Celebrations at Home's 4th of July's tablescape, I made a backdrop of pinwheels from Party City and the Dollar Store. 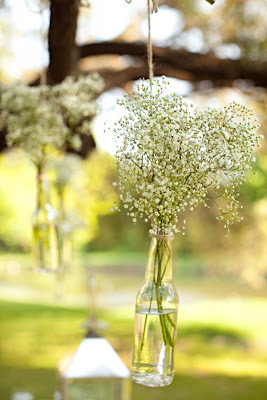 In other news that happened in my world this week, I booked another wedding for next year! 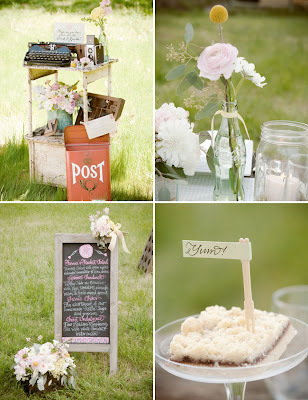 My new bride wants a Southern style vintage wedding. One interesting twist? 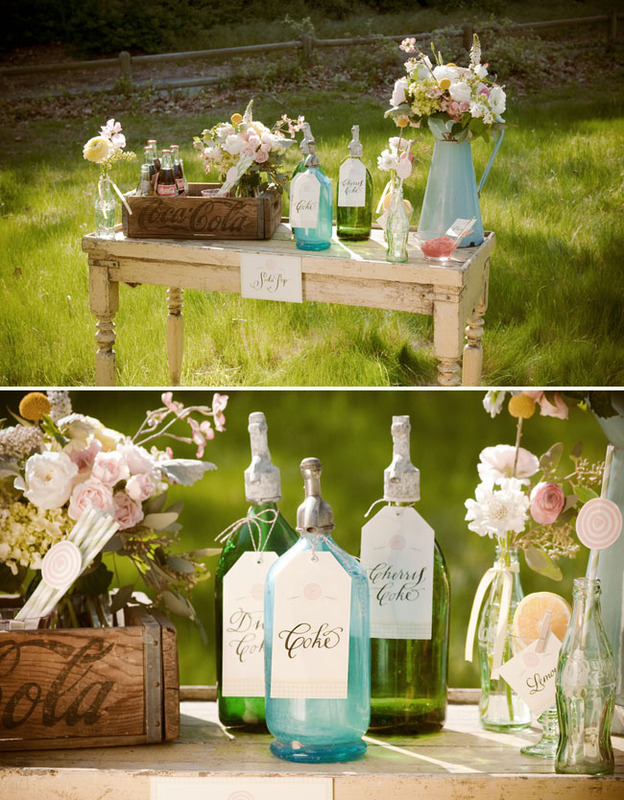 We will be using vintage coke bottles that hold a significant meaning in the bride's family. I've started my research and have found some beautiful images! I am looking forward to planning the several weddings I have next year...it's so exciting to see my dream become a reality! Coming up on the blog this week....A ridiculously decadent recipe for Oreo Balls...YUMMMM! The pinwheel backdrop looks great! Congrats on the new booking! I just don't think I could handle brides...you're so brave to do so! 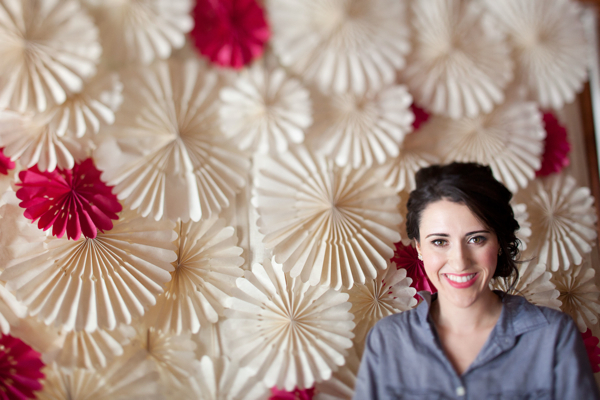 So excited for you about the weddings!! 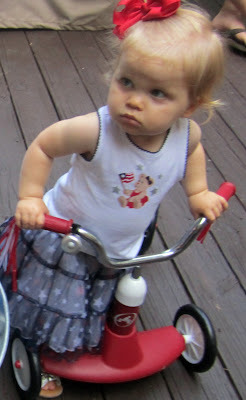 Your niece, and your backdrop, are adorable. 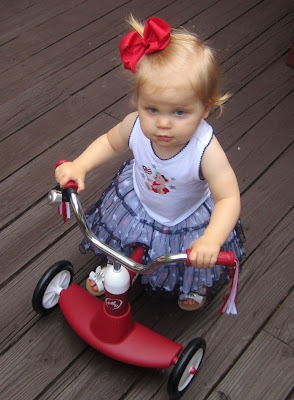 Brookie is such a doll!! And congrats on booking another wedding! Your prelim ideas sound SO charming and classic! Can't wait to see how it all unfolds. oooo fried pickles, gotta try those! brooke is so cute! 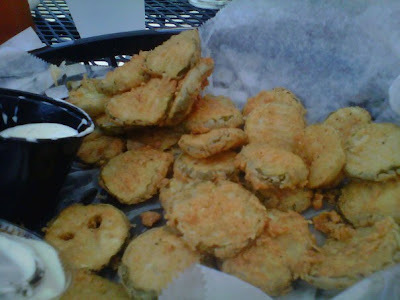 I love fried pickles! LOVE...but, am now in the northwest where they just don' t know how to make them right! Congrats on the weddings! That is so awesome! 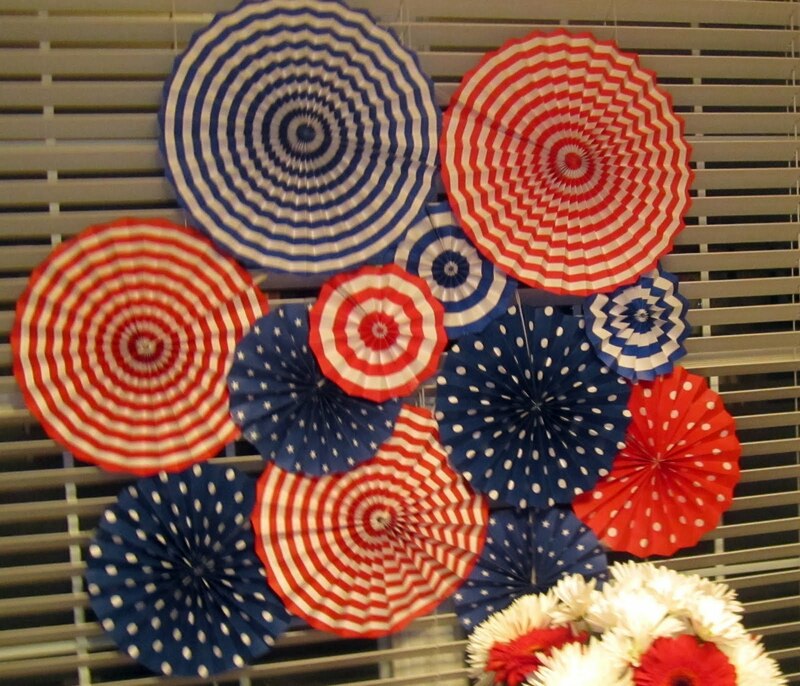 I love frickles! They are my biggest weakness. 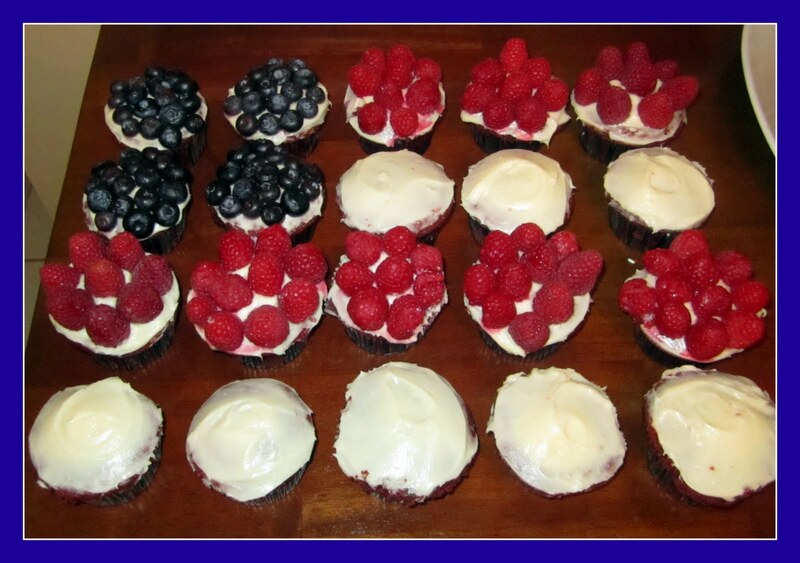 Your 4th of July cupcakes look fantastic. Congrats on the wedding, that's so exciting!